Winchester introduces new competition pistol powder. Chris Hodgdon, Public Relations Manager for Winchester Smokeless Propellant, announced today a new powder for the discriminating competition pistol shooter - AUTOCOMP. This exceptional propellant is ideally suited for delivering optimum pistol compensator performance. 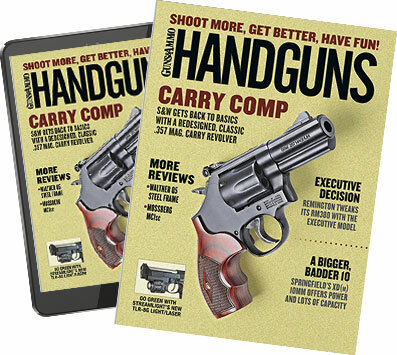 "AUTOCOMP was developed specifically for the calibers .38 Super, 9mm, .45 ACP and .40 S&W. It's the perfect burning speed to boost compensator effectiveness with a higher volume of gas. With AUTOCOMP competitors get off faster shots with better accuracy; it's a winner." One- and eight- pound containers will be available at Winchester dealers Spring 2009. AUTOCOMP data is now on-line in the Winchester Powder Reloading Data Center. For more information call 913-362-9455 or write to: 6231 Robinson, Shawnee Mission, KS 66202.